Finding an apartment to rent as a foreigner is notoriously difficult in Japan. There are various barriers and considerations to take note of. I will attempt to cover some of them here but this is by no means THE comprehensive guide and is definitely open to comments for those who have experienced this process. It is also possibly useful outside of Tokyo, but experiences are largely within Tokyo. manshon (マンション) – “Mansion”. This can be translated to condominium or a gated apartment which typically has a company managing the common areas. apaato (アパート）- “Apartment”. Like the above… minus the frills. These usually allow random people (like NHK fee collectors and salesmen) to walk up right to your door. fudousanya (不動産屋) – Real estate agency. kanrigaisha (管理会社) – Management company. These could be big ones that own the properties, or those that help owners manage their properties. kojin (個人) – Individual. In this context, may refer to owners who manage the property themselves. If you are a student or someone who finds yourself in Japan with no provable source of income, things might get tricky. A large proportion of properties are managed by management companies which differ the level of strictness when evaluating potential tenants. Generally, owners like to look for long-term tenants with stable incomes. If you are a foreigner, this means that they would prefer that you are here on a long-term visa with a nice cushy job. Properties owned and managed by individuals may be easier if you fall into the “unstable with no income” group since negotiations depend on more subjective elements. Those listings managed by large managements companies (like Mitsui or Sumitomo) will have strict requirements that are not easily bent. Many owners aren’t exactly comfortable with renting out their units to foreigners. Reasons may be lifestyle differences, communication issues, etc… With that in mind, it will definitely help if you can at least communicate in basic Japanese. Safety – The shitamachi areas like Taito Ward are known to have higher crime rates and hence tend to be cheaper. Safer wards like Chiyoda or Bunkyo tend to command a slight premium. Schools – Rental prices in areas with good public schools (like the 3S1K in Bunkyo) tend to see a slight bump too. This is because your address basically determines which public elementary school your child is ASSURED of entering. There are also historical factors, where lands one owned by nobility are still coveted. reikin (礼金）- The notorious key money. This is basically a “gift” to the owner that you have no hopes of getting back. It does seem increasingly common for listings not to include this fee. Typically ranges from 0.5 to 2 months worth of rent. shikikin（敷金） – Deposit. Self-explanatory I hope. Typically ranges from 1 to 2 months. You may get the large bulk of this back when you move out but some deductions may be made for a mandatory cleaning fee, and for damages (to flooring, for example). guarantor fee – Almost all owners expect you to have a guarantor (usually needs to be a Japanese national). In the event that you don’t have such an acquaintance, you can always approach a guarantor company which will charge you about half a month of rent for their service. If you are a student, you might be able to get your school to act as a guarantor. insurance – Various kinds of insurance like fire, and natural disasters. Some optional, some not. advance – You are usually expected to pay at least the first month’s rent in advance. agency fee – Clearly you are expected to pay for the services of the real estate agent/company. This is typically 0.5 or 1 month excluding tax. Adding it all up… it will probably burn a hole in your pocket. You could always hunt for listings that omit things like reikin and shikikin if you want to cut down on the damage. If you are brave, you could even take up a unit where a recent death occurred. It is required by law for the owners to point this out and usually they will offer huge discounts like several months of free rent. Miscellaneous monthly fees include things like maintenance fee (for manshons), bicycle/car parking fees and other services. These sites typically list apartments from various agencies and you can use them as reference to figure out price points or to even source potential agencies. Most agencies focus on areas near their office so it might be a good idea to contact one near where you intend to stay. S Service room (i.e. room deemed not suitable for housing a person. small or no windows). It is really pretty simple. 1LDK means an apartment with 1 bedroom + a common area big enough to have a living room big AND a dining area + a kitchen. A 1DK would be a smaller version of that, where the common area is barely big enough for a dining area. A 1LDK is usually in the range of 40 sqm but your mileage may vary depending on the part of the country. A 1K would be a tiny pad with only enough space for a bedroom and a kitchen on a corridor (or even in the room). A 1SLDK would hence be the same as a 1LDK plus a service room. Thus a 2SLDK would have 2 bedrooms, a service room, a living room, a dining area and a kitchen. One of the rarer ones you will see is a 1R. This is usually meant for SOHOs (small office/home office). It could be as big as a 1LDK but basically lacks walls and is what the locals call a “ONE ROOM”. As for square area, modern units usually come in square meters (excluding balconies and other service areas). 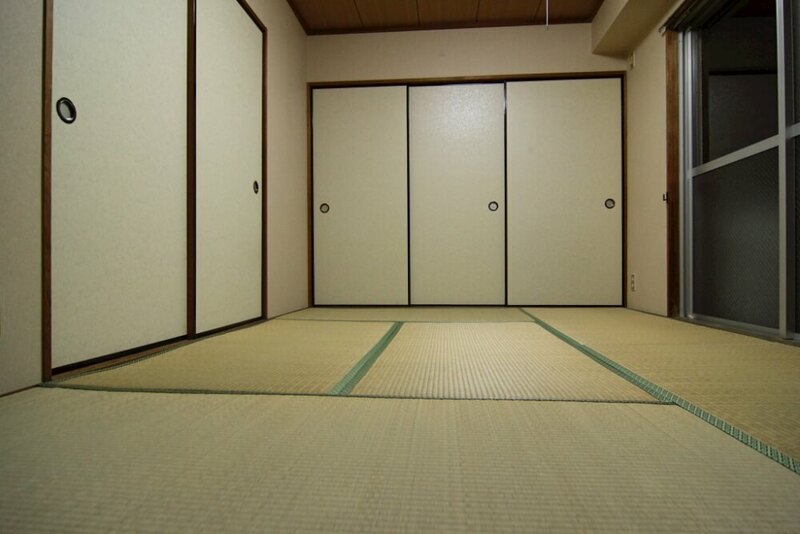 You may come across a term called 帖 or 畳 (jou) which is approximately the size of one tatami mat. Unfortunately, tatami mats come in various sizes so this is a rather unstandardized measurement. You can, however, assume a jou to be around 1.65 sq m.
畳 and 帖 have the same reading and appear to be used interchangeably. However, there is a slight difference between the two. The former is usually used for measuring Japanese-style tatami rooms while the latter is used for western style rooms and other parts of the house.